I hated it when I was a child & now that I have my own child, I still hate it!!! So it was with a very sad face that I set my alarm last night to make sure that I woke up in time to do the regular chaotic prepartion that is a regular school morning. However, I am not here to complain about the day that was inevitably going to come regardless of how much I dreaded it! I'm here to share with you What-I-Ate-Wednesday! Of course there's always my morning coffee (though I don't usually take a picture of it!). .......accompanied by a brown rice salad with spinach. My husband often jokes about my 2nd, 3rd or 4th lunch! ;-) Today there was only 2 lunches! 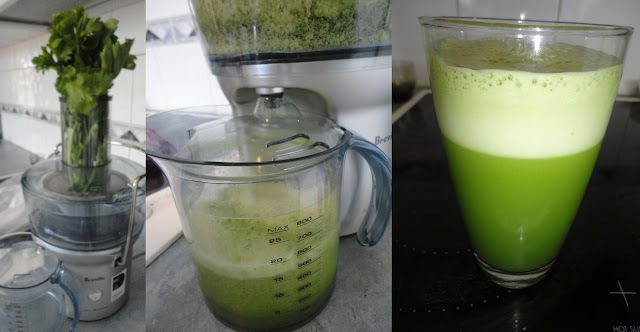 In the afternoon I put my juicer to work on celery, kale & apples. I even had the camera sitting right next to my cooking area! And last but definitely not least was the delicious dessert that I shared with my hubbie - waffles with chocolate banana soft serve! Proof that even days that start out bad can have a good ending! Everyone loves apple sponge cake right?!? In a measuring jug combine the milk & vinegar. Allow to sit for 5 mins. Meanwhile, combine the flour, baking powder & sugar in a large bowl. Mix well. Make a well in the middle of the flour & add the milk mixture, apple sauce and vanilla. Fold dry ingredients into the wet ingredients. Put the pie apples into a small mixing bowl. Chop any large pieces into small pieces. Stir in the cinnamon and mix well. Line a 20cm round baking tin with baking paper. Bake in a preheated 180C oven for 45 mins or until cooked through when poked with a skewer. Cool in tin for 10 minutes before serving. Note: You can reduce the sugar if using sweetened applesauce. You know I'm a fan of simple dishes right?!? I swear it doesn't get any easier than this! Put a lid over the frying pan & leave for 15 minutes. Come back to a delicious smell, softened eggplant, & slightly wilted kale leaves. Serve over brown rice or other grain of choice. Join Healthy Vegan Fridays at the veggienook. Do you ever look back & think about how many things you took for granted as a child??? Breakfast was soaked oats topped with applesauce, flax seeds, raisins & cinnamon. Instead of my standard lunch of salad at work I enjoyed some leftover kale & eggplant on brown rice. The picture truly doesn't do justice for how good this tasted! Here's my snacks for the afternoon. I've been in love with nectarines this season! They seem so much more juicy and tasty compared to last year! You can add your post to what i ate wednesday by checking out the peas and crayons blog! Here's a twist on the traditional Mexican wrap! It looks amazing to serve as a dish. It keeps well, and makes for great leftovers that can be easily transported. My daughter loves the way the tortilla layers become similar to "pastry"! Drain the beans & place them in a bowl with the cumin, paprika, oregano & chilli (if using). Mash the beans well. Add the tomatoes and combine. Place one tortilla on the bottom of a large circular casserole dish. Top with 1/3 of the bean mixture. Spread evenly over the tortilla. Place 1/3 of the drained corn on top of the bean mix. Follow with a tortilla, more bean mix & more corn. Finish with a tortilla layer & then spread the top of the last tortilla with the salsa. Bake at 200C for 20 minutes. This is a really easy dinner that is tasty & can be served with many different sides. Also great as a leftover on toast! Drain the beans. Mash one can. Add the creamed corn and mix well. Add the other can of beans, but don't mash those ones. Grate the zucchini into the mixture & add the sage. Stir until well combined. Pour mixture into a lightly oil-sprayed pie dish. Bake at 200C for 35 minutes until golden brown on top. You will see the bean/corn mixture bubbling around the sides. The top will be crusty and the mixture underneath will be moist & tasty! BEST ALTERNATIVE TO HOT CHIPS EVER!!! These are so easy to make. They don't take long and they can be served in so many ways. Enjoy by itself, with tomato sauce, in a bread roll (who doesn't love a hot chip roll!!!???) served with salad, as a side or use them as a 'sandwich' to mix and match your veggies between 2 waffle potatoes! Place potatoes in the microwave for 10 minutes with enough water to cover them completely. Drain the water and make sure the skin is dry. Place a potato in a preheated waffle iron. Press the lid til completely closed. The potato will squash down. Heat for approx 4-6 minutes per potato. You can press more than one potato at a time if you like. This will depend on the size potatoes you choose. Do not lift the lid if you think the potato is going to stick, it means it's not cooked enough yet. This will pull the potato apart. If in doubt, wait a bit longer! They will just get more crispy! What do you get when you cross an English muffin with French toast? Blend until it becomes a smooth, it will still be thick. Place the milk mixture into a tray/dish. Cut your English muffins in half and place in the milk mixture and allow to sit absorb for about 30 seconds. Flip the muffins over & allow the other side to absorb the milk mixture also. Place the moistened muffins in a frying pan on high heat. Dry fry for approx 3 minutes each side until golden brown. The edges will be crusty. Serve with your choice of fresh fruit or syrup. Feeding omni's and vego's in the same meal..... is it possible? The answer is simply YES. It might take a little bit more work but its not 'hard'. 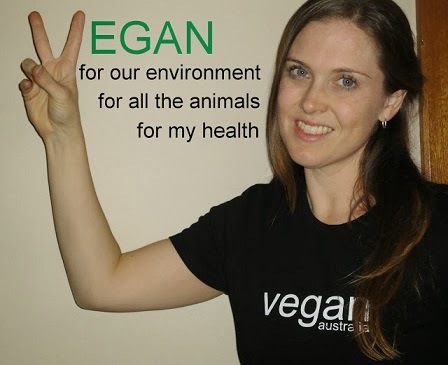 Over Christmas I read a long debate on a discussion website about how many vego's still cook meat for their friends and family even though they hate doing it! I regularly have to practice this skill since there is NO WAY I could convince family members to eat vegan meals with me! So in this post I'll give some practical tips on how to make meals that compliment both appetites! Shepherds pies - made with lentils in place of the meat. Try this recipe for a fab lentil shepherd pie. Enjoy a meal of mash and pies together. Pie fillings can be as creative or as simple as you please! Same goes for 'bangers and mash' - plenty of faux meat options to make easy similar meals. Another easy option is to have burgers together. I love a good veggie burger! Why not try this lentil pattie recipe. Bolognese - Try using a bean or lentil bolognese over pasta, along with a mince bolognese. Meat balls are another great option that can easily be turned vego! Try using lentils, red kidney beans, okara or gluten flour to make meatless balls. Pizza! - this has got to be one of the easiest meals to share together. Vego pizza options are endless - just make sure you top it with pizza cheeze sauce. Stir fry's are also easy to just make the same vegetable base & just top with either tofu or other. Roast Dinner - can easily keep everyone happy - esp on a cold winters night. Veggie roast are endless, try using legumes of all kinds, nut roast or if you're having a lazy day there are some amazing premade store-bought roast available too. Baked Loafs - along with a meat loaf you could serve a lentil loaf or bean loaf. Lasagne - another great dish that can easily been turned veg. Try this version for a very 'meaty' option!!! Tofu bacon with tofutti cheese slice & hash browns. Now surely that is "The Same but Different" to an omni's meal!!! Is that enough meals to make you feel like you can eat veg in an omni setting??? 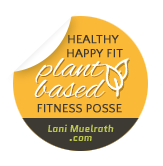 Better still - why not tell your friends and family about all the benefits of a plant-based diet??? You never know - they may just look at your meal and decide it's equally delicious! Not only for their health, but for the many lives of animals that suffer for our dinner plates. Decide on a vegan resolution you won't regret it! Vegan Snacks, Vegan Cheese, Vegan Soup, Vegan Pizza Pods!